Manual installation is NOT recommended in production. It should be only used for learning purpose. Instead you should use the docker deployment. The docker deployment will provide you easy update system and make sure that all moving parts are wired correctly without any technical knowledge. It will also setup HTTPS for you. This steps have been done on ubuntu 16.04, adapt for your own install. sudo tar -xzvf bitcoin.tar.gz -C /usr/local/bin --strip-components=2 "bitcoin-$BITCOIN_VERSION/bin/bitcoin-cli" "bitcoin-$BITCOIN_VERSION/bin/bitcoind"
On my ubuntu 16.04 (See those instructions for different OS). Now you can browse your server on port 8080. ​BTCPay Server Manual Install from blog.sipsorcery.com. 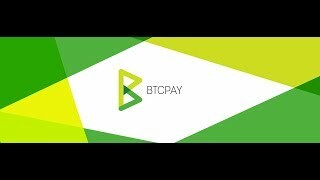 ​How to Setup BTC and Lightning Payment Gateway with BTCPayServer on Linux [Manual Install] from freedomnode.com.